From Wikipedia, the free encyclopedia David Nykl (born 7 February 1967 in Prague, Czechoslovakia) is a Czech Canadian actor of film, television, commercials and theater. After the Soviet invasion in 1968, he and his family left then-Communist Czechoslovakia for Canada. Upon arriving at Victoria, British Columbia, his father found work as a structural engineer and his mother found work as a nurse. Nykl attended the University of British Columbia, where he majored in liberal arts. Nykl has appeared heavily in Vancouver and Prague in dozens of theater, film and television productions. Known for his versatility and depth as an actor, he has also produced theatre and film projects, and in 1994 he co-founded Prague's Misery Loves Company Theatre with Richard Toth and Ewan McLaren. He is known to science fiction fans as the recurring Stargate Atlantis character of Dr. Radek Zelenka, a Czech scientist on Earth's expedition to the "lost city" of Atlantis. His character often provides a foil to the main scientists, who forget the limits of their situation. He is fluent in Czech, English, French and Spanish. 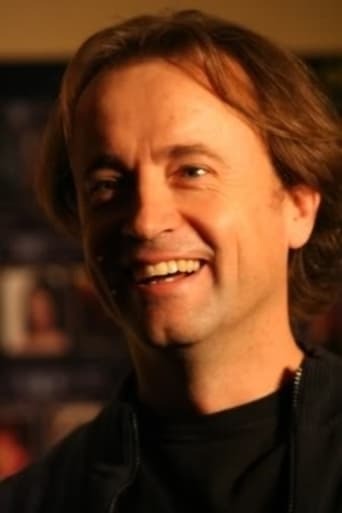 Though his character on Stargate Atlantis speaks English with a Czech accent, Nykl normally speaks with a Canadian accent. Whenever Zelenka spoke Czech in Stargate Atlantis, Nykl was given the lines in English, and he translated them. Description above from the Wikipedia article David Nykl, licensed under CC-BY-SA, full list of contributors on Wikipedia.